The first few months of President Andres Manuel Lopez Obrador’s (AMLO) six-year term have brought some extreme changes in the Mexican oil and gas markets. The policy changes so far have involved upstream, downstream and midstream energy sectors in Mexico, sending reverberations across the entire supply chain from oil production to retail fuel sales. Despite the fears of investing in the future of the Mexican energy market, many oil and gas companies are keeping a glass-half-full attitude as Mexico remains a country in dire need of new investments for new energy infrastructure and continuous high oil and gas imports. 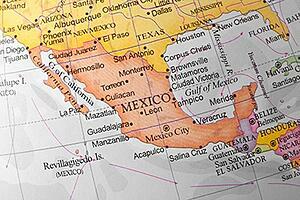 OPIS has examined the events and policy changes that have transpired so far in Mexico. The initial results have been a mixed bag. Underlying uncertainty is the key theme in the Mexican energy market outlook at least for the near term. The common denominator in all predictions and expectations of Mexico's energy market changes is AMLO. His actions and political agenda could have a ripple effect across the domestic and U.S. markets. So far, AMLO has shown his hand on what he wants to achieve in the Mexican refining and fuel import markets, but it remains to be seen if his lofty goals could be achieved within his six-year term. There are still many unanswered energy-related questions for AMLO on protection of national oil resources, protectionism of the domestic fuel market, tax adjustments and assurance to foreign investors investing in the Mexican energy infrastructure. On a positive note, Mexico is expected to see stable to slightly stronger refining operations and output for 2019. As a result, fuel imports from the U.S. should edge downward, though possibly not in a meaningful way. While the aggregate fuel import volume should fall, the share of private importers of the smaller pie is expected to increase dramatically at the expense of Pemex due to the opening of new private import terminals over the next year. Turning off the valve on supply and financial losses from fuel theft is one of AMLO’s high priorities. 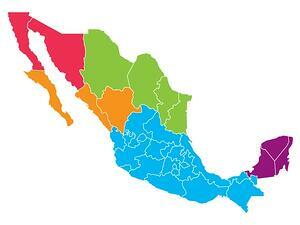 It is understandably so, as fuel thefts are estimated to drain Pemex of more than MXP 1 billion in revenues each year. The first “achievement” in the short span of the first few months of his regime is the government’s new stepped-up crackdown on fuel theft in Mexico. Pemex’s new CEO Octavio Romero Oropeza boasted that Pemex was expected to benefit from extra income of MXP 32 billion ($1.46 billion) from fighting fuel theft in the country. The increased military action from cracking down on gasoline theft should help to partially make up for low refinery utilization rates in Mexico, allowing Pemex to bring more fuel to the market legally, slow down the rising imports from the U.S. and possibly boost its income. But, anti-fuel-theft measures have come with a steep cost. The crackdown on gasoline thefts coincided with two pipeline incidents in January, with a fire in Hidalgo resulting in 133 dead. The other fire incident in a remote area in Queretaro did not result in casualties. Still, Pemex had claimed that fuel thefts in Mexico have decreased by 70% in the first two months of its anti-theft operations in December 2018 and January 2019. During those two months, Pemex achieved savings of MXP 48 billion from thwarting fuel thefts, the company said. The company also claimed that the average estimated fuel theft volume in Mexico fell from 56,000 b/d in 2018 to 15,600 b/d so far in 2019. Pemex also said that fuel distribution in Mexico had stabilized and sales volumes were rising, thanks to the anti-theft programs. However, Pemex's recent rousing celebration of a "successful" campaign against widespread fuel thefts in Mexico could be perceived as premature. It remains to be seen if fuel theft activity has slowed down for good. It is noted that recent gasoline theft activity could have slowed for now due to the deadly fire, the military crackdown and the government's efforts to create jobs and offer social incentives in Mexico. In his multi-pronged approach to revamp the country’s energy policies, AMLO is aiming to make the state-owned company great again, by driving all major energy policies via Pemex. This goal not only supports a rebuilding of Pemex, but it would bolster AMLO’s political agenda to strive for energy independence during his tenure. While the ambitious goals have produced some admirable government programs such as building a new oil refinery and upgrading its existing refining system of six refineries, prevailing refining and marketing economics do not suggest these refinery plans are economically feasible. AMLO is expected to prioritize a plan to significantly increase refinery utilization during this six-year term. The Mexican government plans to almost fully restore the 1.6-million-b/d maximum operable capacity at its six refineries. This centerpiece of the refinery upgrading program is a proposed 340,000-b/d refinery at Dos Bocas on the Gulf Coast of Mexico. This project will indirectly compete with the far more profitable refining margins on the U.S. Gulf Coast, thanks to its close proximity to price-advantage crude feedstocks in West Texas. The current market fundamentals and economics in the U.S. and Mexico would point Mexico to continue to buy oil products from the U.S. rather than raise local refinery utilization rates after taking into consideration the vast investments needed for the Mexican refinery resurrection and readily available U.S. Gulf Coast products. U.S. burgeoning refinery production, based on comparably stronger downstream processing economics, has encouraged a natural cross-border sale of products to Mexico. In Mexico, most refineries are built to maximize yields from processing light sweet crude, but the most economical crude slate for these refineries is the domestic heavy crude production. However, Pemex is forced to curb its refinery utilization because it is uneconomic to run high volumes of heavy crude due to a lack of complexity in the Pemex refining system. The low average refinery utilization rate of about 40% of maximum capacity is also blamed on poor maintenance and lack of funds. In order to raise the yields and operating rates at the Mexican oil refineries, Pemex would need to import U.S. light sweet crude regularly and in large volumes. However, this is not the most practical option for Pemex, due to the high cost of crude imports and weak peso value against the greenback limiting Pemex’s purchasing power. Comparing the net cost of producing more products from importing U.S. crude and the cost of buying U.S. oil products, Pemex might be better off sticking to importing U.S. products, based on economics. The economic outlook of future refining is not on Pemex’s side either. The IMO 2020 mandate for low-sulfur fuel oil for ships is expected to place more pressure on heavy crude refiners with limited coking capacity, including Pemex, due to an expected rise in distillate crack spreads. In addition, in the big picture, Mexico would receive significantly better netbacks or returns for investments in its upstream sector than downstream. AMLO might have expedited a blueprint for revitalizing its sagging refinery system of six existing refineries, which ran on an average of about 40% of its maximum capacity, but it remains to be seen how this plan would be carried out in the future. AMLO has not offered a financial breakdown on how to fund these very expensive refinery projects so far. The good news for private investors in 2019 could be expectations for midstream terminal infrastructure projects to plow ahead, albeit slowly. While AMLO has spoken freely since his inauguration on Dec. 1 about keeping domestic fuel prices low, boosting local refinery output, halting products imports from the U.S., crushing corruption and oil thefts, he has not taken a hard stand against the burgeoning midstream sector. Thanks to the energy reform which began a few years ago, there are more than 35 midstream infrastructure projects – covering new marine and storage terminals and fuel pipelines – already underway in Mexico. The bulk of these, except fuel pipelines, are expected to come onstream over the next few years. Marine terminals are expected to be more economically feasible than pipelines so far. Mexico is not expected to see a new pipeline in 2019 or the near future as six pipeline projects are stuck in neutral gears due to permitting issues and the uncertainty of their economic. A major deterrent to new pipeline projects is the fuel theft problem, which could render any domestic pipeline shipments uneconomic, even though pipeline delivery, in theory and in the U.S., offers the best delivery economics when compared with rail, ships and trucks. Besides the potential fuel loss, there are also security and safety issues surrounding operating a fuel pipeline. Further down the road, there are about another 15 to 20 new infrastructure projects planned for Mexico, which could begin construction as early as next year. Some of these new projects would be built under the Administracion Portuaria Integral's public tenders at different ports in Mexico. 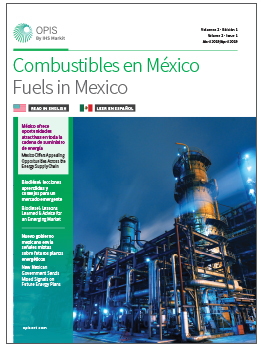 In past few years, Mexico has seen the emergence of a few new private terminals, but state-owned Pemex still dominates the domestic fuel supply market. This has made only a small dent in Pemex’s market share so far. Pemex’s dominance is reflected in the major international oil companies, including Shell and BP, continuing to buy fuel from Pemex for their branded retail stations. Only ExxonMobil is able to deliver fuel independently via rail to its own terminal in Northern Mexico to supply its branded retail stations. Marathon Petroleum has some third-party access to Pemex’s logistics system for fuel delivery into Northern Mexico for its own stations. This private delivery route is expected to expand later in 2019 and in 2020 with more private terminals expected to be open for business. This may change the existing mindsets of fuel buyers. The competition between Pemex and private importers in the fuel import market is expected to increase significantly, even though the aggregate import volume, including Pemex and private imports, is not expected to grow. Mexico's fuel import appetite could be tempered by a more stable refining system and a relatively lackluster domestic gasoline demand growth trend. Mexico’s gasoline demand is expected to remain flat to slightly weaker in 2019. The country has not seen an annual gasoline demand growth for the past 10 years. Mexico's gasoline demand in 2018 was estimated at about 775,000 b/d, compared with 787,000 b/d in 2008, sources in Mexico said. With many new private terminals and a higher storage capacity, it should raise private importers' market share in Mexico, in theory, as international and domestic marketers would have flexibility with fuel inventory management. However, the shadow of Pemex looms large in the Mexican fuel import market. Every private importer in Mexico, similar to Brazil, will have to compete with Pemex's prices on a daily basis after taking into consideration the IEPS tax and fuel subsidy. This has led to private importers guaranteeing customers and end-users in Mexico a too-good-to-miss deal of a daily price discounts to Pemex's posted prices. Pemex, the dominant player in the Mexican retail market, on the other hand, sold fuel below supply cost to its retailers and Pemex-branded stations last year, thanks to the fuel subsidy, in order to compete with expanding market share of private players. Oil companies in the U.S. and Mexico agree that a price war could be on the horizon, but the sustainability of prolonged heightened competition on prices would be questionable. Sources said that private importers could not possibly always guarantee to beat Pemex prices due to financial implications on profit margins. The aggressive price offers could be limited to only a few large refiners and trading houses. In theory, a large refiner in the U.S. could have a lower supply cost compared with trading companies and marketers. While the risks in Mexico are real, many major oil companies, including Marathon Petroleum, Shell, BP, Glencore, Phillips 66, ExxonMobil, Chevron and Valero, are willing to plow ahead or have already made substantial investments in the Mexican downstream market. Nobody wants to be the last to enter a new market. Also, the silver lining in Mexico for investors is that the country is and will remain net short on oil products for the foreseeable future despite plans to reboot its domestic refining system. The new Mexican refinery might not be completed within the next six years. Also, the investments in Mexico by major oil companies so far are considered relatively small compared with other projects of greater capital intensity in other energy sectors and other parts of the world. The bottom line is, 2019 is expected to be another year in which Pemex is to continue to struggle to hold on to its existing fuel supply contracts with domestic retailers, and this customer attrition trend at Pemex will accelerate, with more private terminalling facilities opening up later this year and the Mexican political climate stabilizing.